We love making slime. Don’t you? 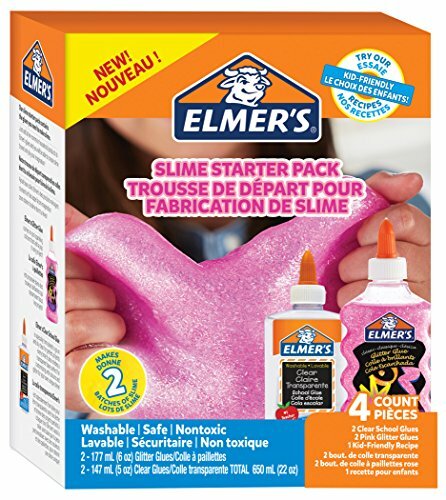 Maybe you’re not sure how you feel about slime yet, but your kids love it. That works too, I completely understand. Well, this winter we have been enjoying a wonderful activities calendar filled with fun, and we added a few extras for my slime loving kids. 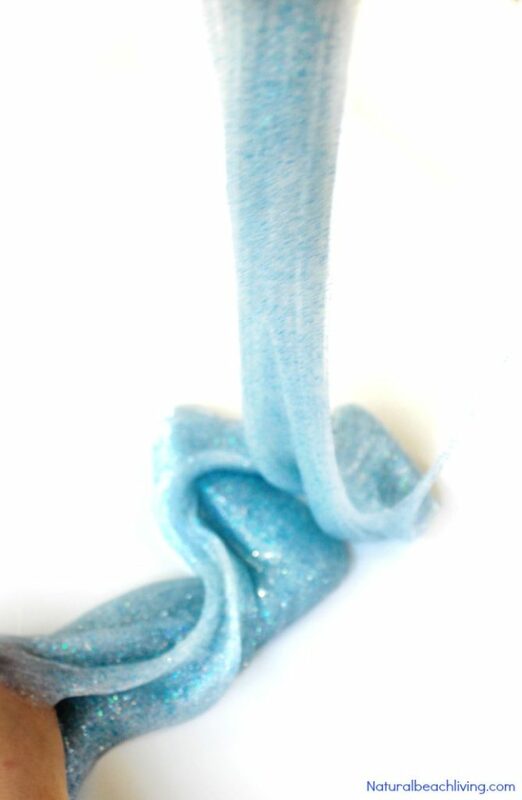 Since it feels and looks like winter outside this Frosty Winter Slime seemed like a perfect choice. 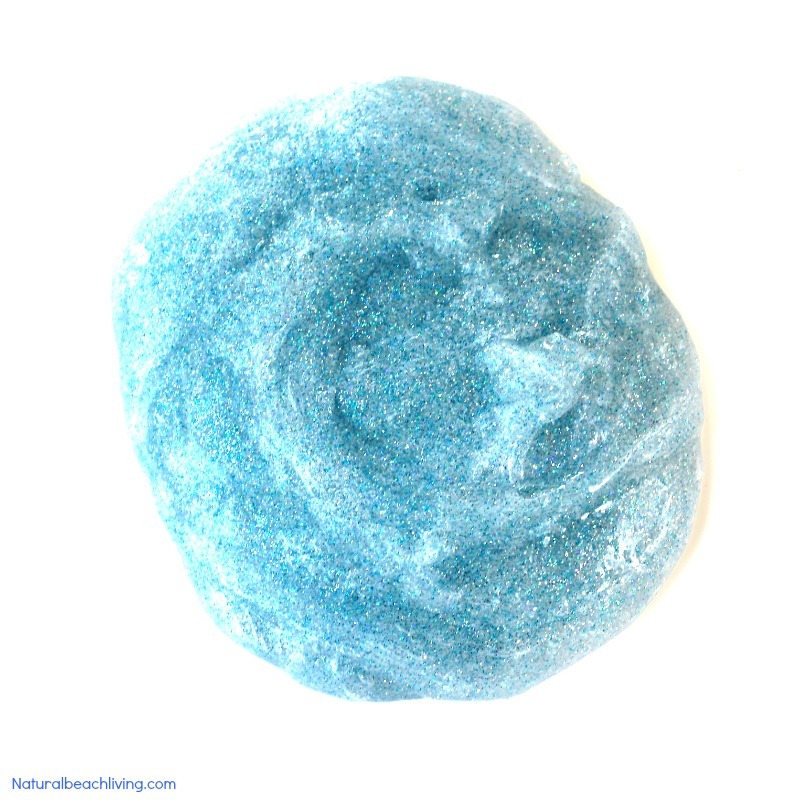 Making and playing with easy slime recipes makes for an afternoon of happy children. 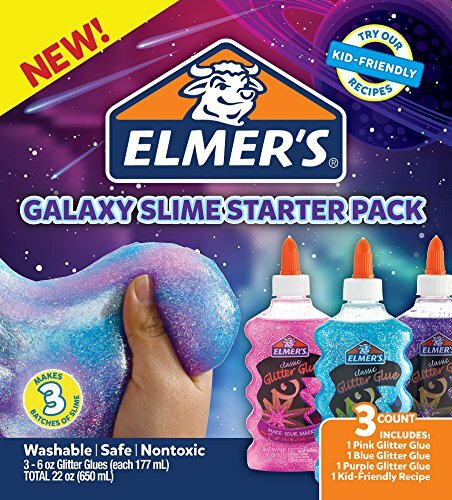 Even though we usually share homemade slime recipes, amazing scented slimes, and awesome fluffy slimes, this time we decided to try out an Elmer’s Slime Kit. So, when I say this is an easy Frosty Slime Recipe, I mean it. Everything comes measured out with easy to follow directions. In fact, my 11 and 5 year old made this together, and they did fantastic. 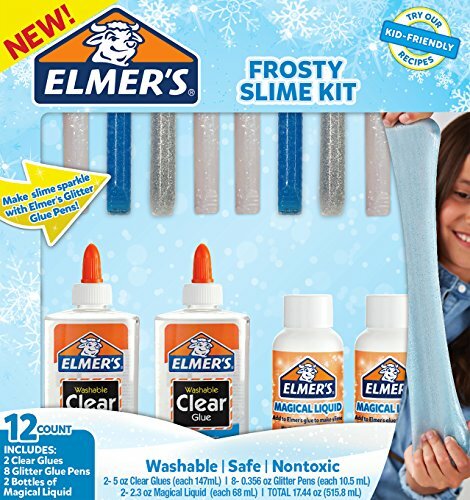 Are you ready to make this Elmer’s Frosty Slime Recipe? 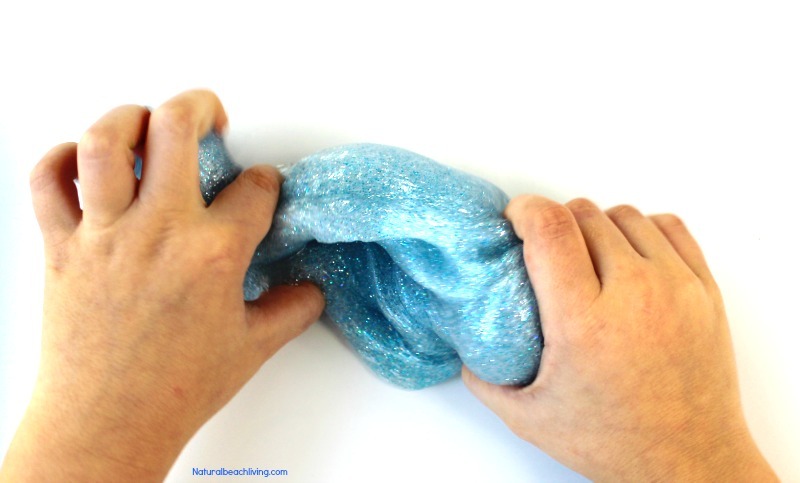 It’s an easy slime recipe to make with only a few ingredients, and your kids will love it! 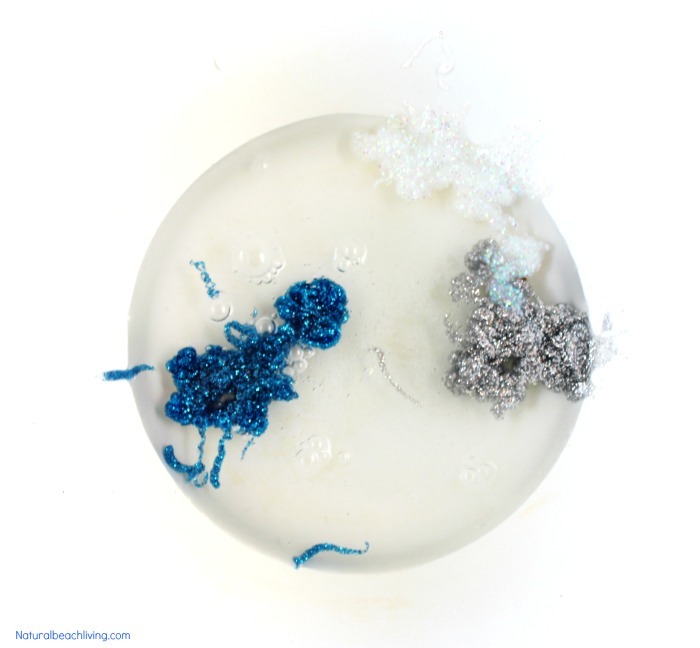 Slime is awesome for tactile sensory play, and this also makes a great winter science activity. 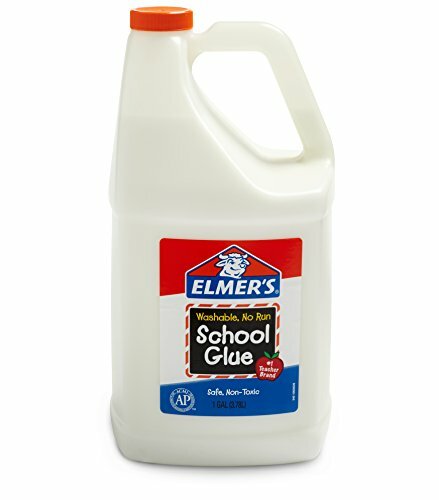 Elmer’s magical liquid is an all-in-one activating solution that transforms any Elmer’s glue into stretchy Slime that never fails. That’s a win right there. And by adding the colored glitter glue pens, you don’t have to worry about glitter going all over the place. 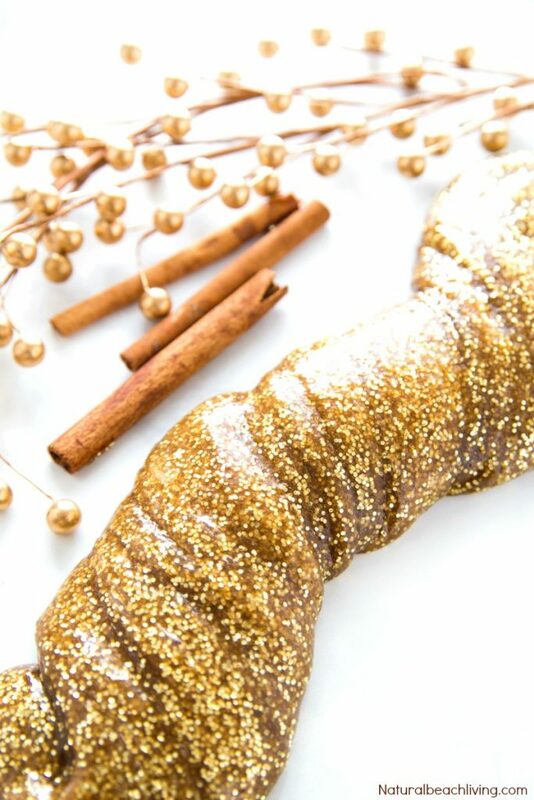 Just in case you aren’t a fan of glittery messes. 3. Pour in Magic Liquid and stir. The ingredients should start coming together quickly to form slime. 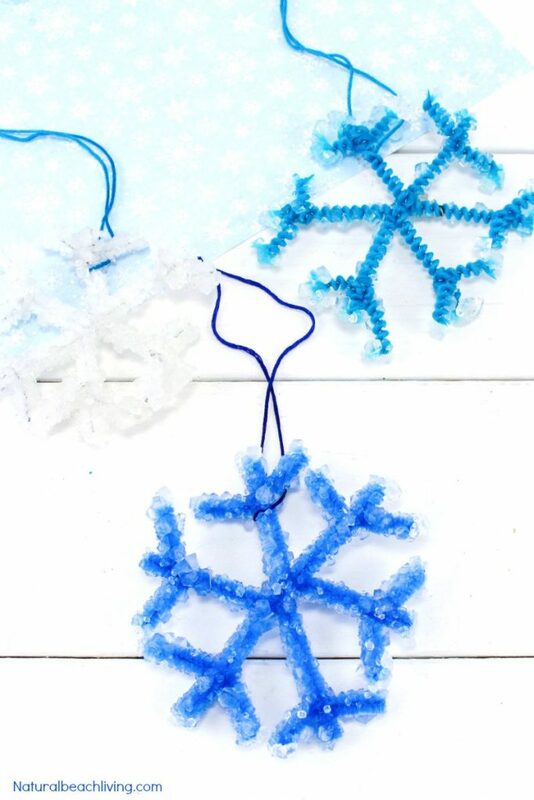 If you want to make a homemade frosty slime use this recipe here, but instead of red glitter glue use the glue colors mentioned above. 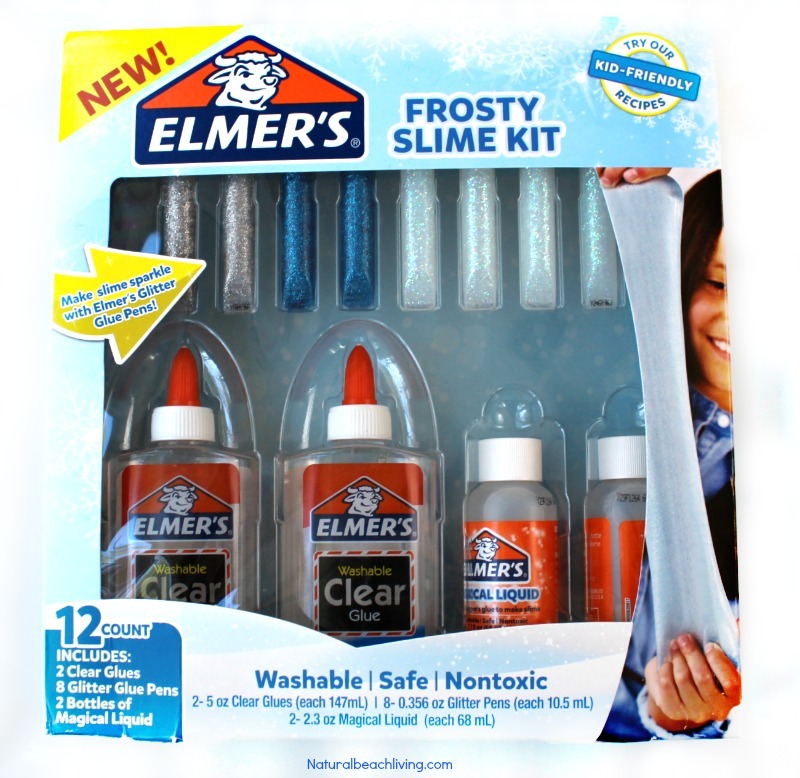 This winter slime kit was awesome! The kids loved it! It was a little sticky at first but after a few minutes of pulling, squishing, poking and twisting this frosty slime was a new favorite (of the week). 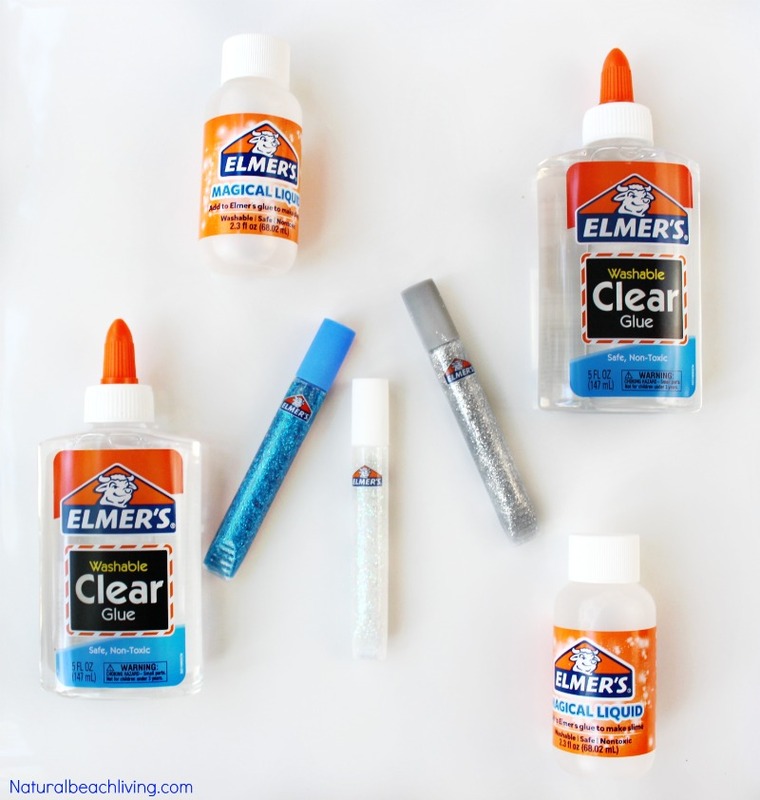 Whether you make a DIY slime recipe or use an Elmer’s Slime kit your kids will be having hours of slimy fun.